There were two types of wreaths available - vine wreaths and foam ones. 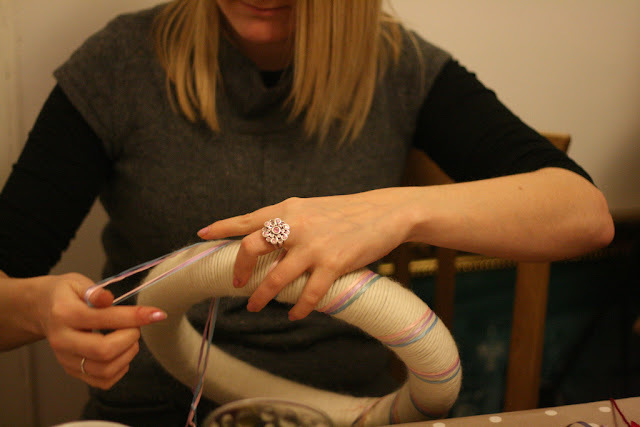 The foams ones - wrapped in wool proved the most popular, but there were still a few takers for the vine ones. 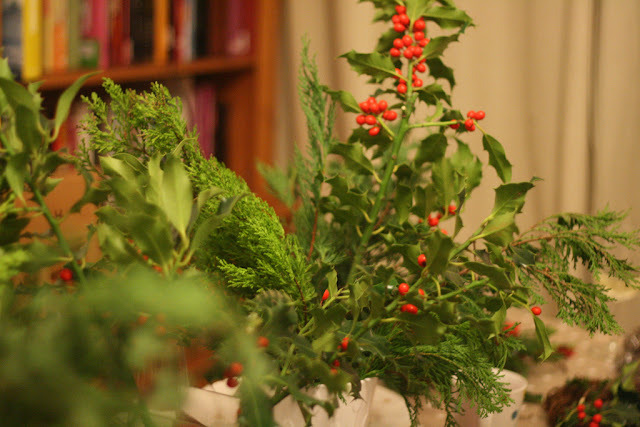 We had a table full of holly, expertly half-inched from the bush in my parents garden, some evergreen tree, ribbons, pinecones, felt, wool, glitter, buttons and bells - not to mention the food. Having looked at Pinterest I knew I wanted to do a grey wreath, but i envisaged it with a whole heap of balls of wool and pinwheels and things on it - in reality it's grey, with a few glittery balls, a pinwheel and a woollen ball! I may add to it yet, but it's not a quick process wrapping that wool round foam. And it appears to have a bit of a kink in it where I might not have taped the foam tight enough, but what do you think? 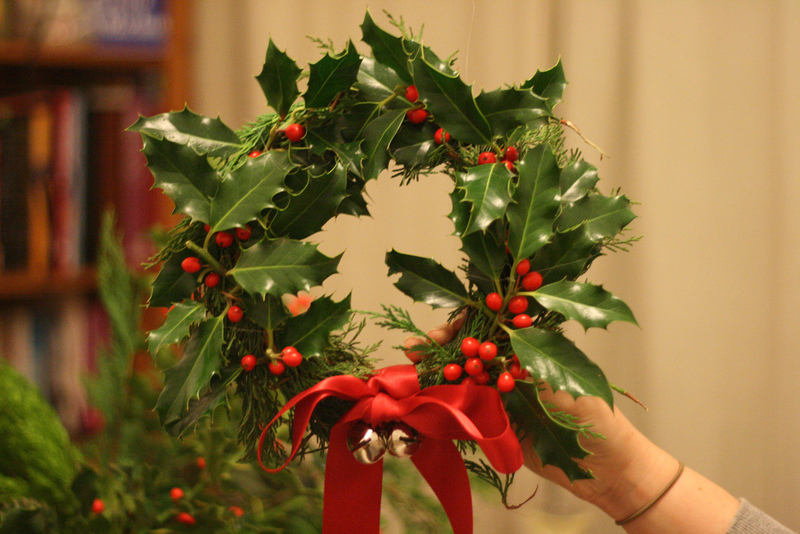 And here is a little glimpse of the type of wreath the people who did the vine wreaths created.